Talk about a stay-cation, I didn't even leave the property around my building. But I rarely go out to appreciate this lovely garden, and it's right outside my window! What beautiful pic! They all have such great composition, focus, and color. Mmmm. You just reminded me that I haven't had any cherries this summer! Beautiful photos! 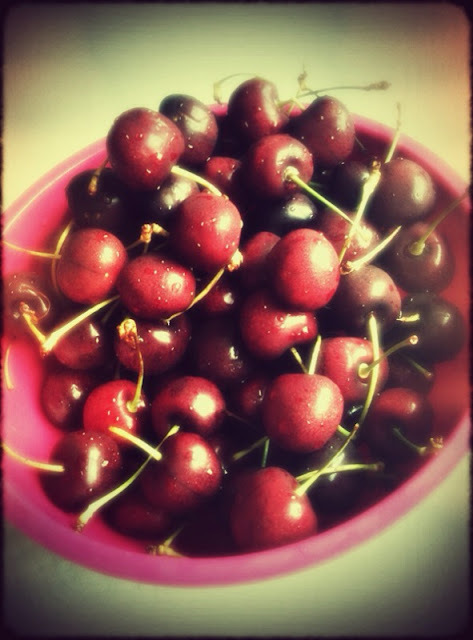 I love the cherries- yum! These are great shots to reflect the theme. So unexpected! 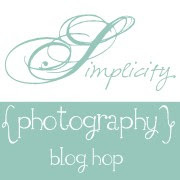 Found your blog through Simplicity, love your photos! I have those balloon flowers in my garden. I love love watching them grow! Great photos! Beautiful photos! I love the carrots! My mom has a plant like the green one you photographed. Although we can't remember what kind it is! I love all the flower pictures. The cherry one is pretty also. Great job! 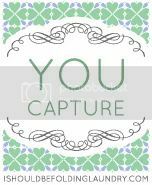 Thanks for the comment :) Your flower pictures are beautiful! I love how clear and crisp they all are. Love your shots....esp. the first 5...totally my style of photography. So crisp and focused...love the pop. Thanks for stopping at my blog, hope you come back again soon! Wow! Great photos! The bright colors are stunning! Those cherries look amazing! Thanks so much for sharing these! Love the bright flower pics. Lovely. Beautiful photos! I particularly love the apartment building with the English Garden. Bravo! Absolutely beautiful pictures! Great way to capture summer. Mmm, I can hear the crunch of those carrots!